Atlas Pools and Spas continues to provide the southern New Jersey area with quality portable spa sales and service since 1995. We are proud to introduce the ultimate Swim Spas by Marquis. 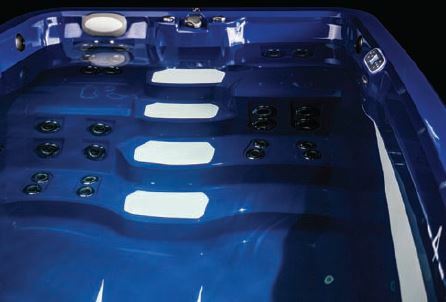 Swim Spas are ideal for people who always wanted a lap pool but did not have the room. Or wanted an indoor pool but thought it wasn’t practical. Or perhaps have always wanted a spa, but didn’t think it would get much use in the summer. The solution is a SWIM SPA. Swim spas provide an ideal alternative to a traditional out door swimming pool allowing you to swim, exercise, and relax in your backyard ALL YEAR ROUND. We carry an affordable range of swim spas and swim trainers to suit every need, and certainly almost any location. 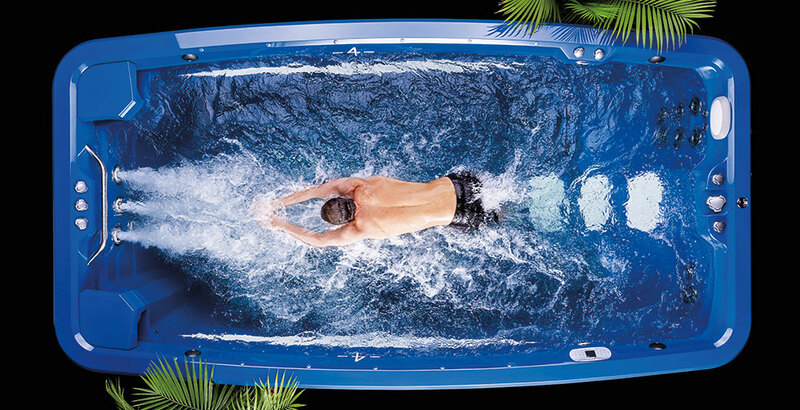 Starting at 12’ long and ranging to 18’ long - swim spas can fit almost anywhere. Swim spas are totally self contained requiring only a power supply. 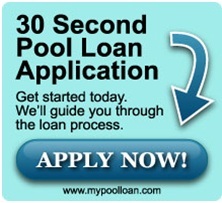 Your swim spa or swim trainer can be installed in less then a day. And one of the best features is that if you ever decide to move, you can easily take it with you! It is a fact that swimming as an aerobic exercise not only relieves stress, but is one of the best methods of building your body’s strength and muscle tone. After your done with your work out, you can relax in the “spa” section of your swim spa - the best of both worlds. 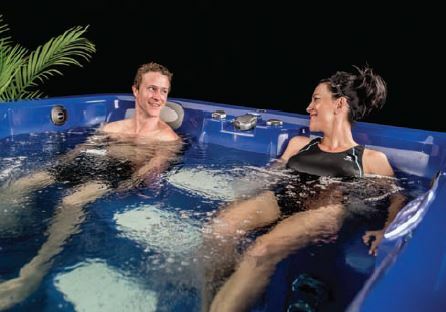 If you would like a swim spa demonstration call our store (609) 645-2998 and ask for Glenn, he is our swim spa expert - we have one filled, running, and on display, ready to demo. Atlas installs only the latest in modern Swim Spas by Marquis. 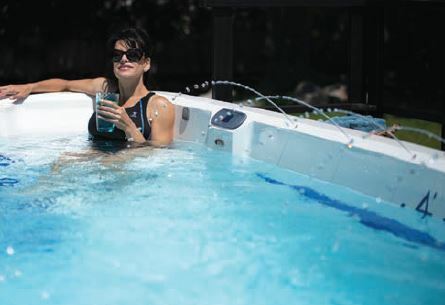 In our experience, Marquis Swim Spas are the best spas that money can buy. Their swim spas are built with practical yet luxurious materials, such as long-lasting mahogany cabinets because we know your swim spa will be a long term investment. What's more, they come with a comprehensive warranty on motors and control systems which will let you immerse yourself without a care in the world. You can even add enhanced features to your swim spa such as an integral sound system, fiber optic lighting and built in audio-visual system. View the most popular Swim Spas below. Click on a photo to learn more. Soothing fountains for your post aerobic cooldown. Warm up those muscles and get the blood flowing. Tethers and rowers supply the resistance you need. Interior steps provide a textured surface for safety. Marquis® reputation for pristine water management carries over into ATV™s as well. Anti-microbial treatment in filtration, corona discharge ozonators, and SmartClean™ automatic clean-up cycles work with a simple sanitization process to allow for hours, days, weeks and months of continuously clean water use. BUILT LIKE A TANKER TO LAST A LIFETIME. covalently bonded macromolecular structure makes the vessel impervious to the crazing and cracking found in typical acrylic swim spas. The state-of-the-art polymer resins are used in the marine industry’s most expensive and rugged boat and yacht hulls. The sweeping lane lines and other visual focal points for your workouts are not superficial appliqués that can peel or degrade over time. They are securely bonded into the polymer structure of the resins and last as long as the vessel itself. Traditional swim spas struggle to sustain structural strength with the potential for acrylic sheet to waver and distort during shipping and installation, and under the weight and pressure of so much water over time. The ATVs external frame is a uni-body gusset construction that assures greater structural integrity and rigidity to further support the vessels bonded polymer resin strength. Truly, an ATV is the strongest large aquatic vessel you can own for your fitness and wellness activities. 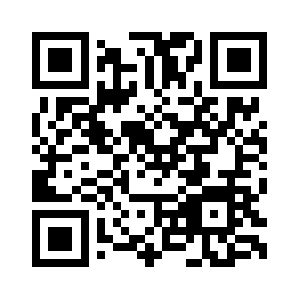 TETHERS, ROWERS, MUSIC AND MORE. ATV™ activities may include anything from free swimming and water aerobic exercises, of course, as well as use of the standard feature swim tether, or optional Resistance & Rowing Kit attachments. Crank up the audio option to work out to your favorite music. Add sub-waterline LED lighting to bring additional sparkle to the water. Or choose the fountains 12-point water feature option for beautiful arcing streams of water along the vessel walls. ENJOY A SOAK PRE- AND POSTWORKOUT. The ATV™ also features Marquis famous hydrotherapy jets and flow controls in seat locations for leg and torso massage. Utilizing Marquis high flow / low pressure, massage action, a therapeutic deep seat and a postworkout cool-down seat offer important muscle and soft tissue massage benefits. SAFE FOOTING IS A PRIORITY. transitions in and out of the vessel. The stairs and the vessel floor have a smooth yet tactile surface treatment to allow for optimal water aerobics footing and non-slip navigation of the stairs…unlike slippery acrylic surfaces that can prevent stable footing. LED lighting is standard along the steps for better visibility as well. for most people, access to a water location that you can use regularly, effectively and affordably in your daily life has always been a challenge. Until now. Elevate your swim spa experience. An ATV™ is much more than a traditional swim spa. Hydrodynamic flow design and control is a specialty of Marquis®, and the three pairs of turbo-jets of 80 GPM (gallons per minute) (303 LPM) each, deliver a water flow you can customize for your optimized aquatic workouts. A standard 50 amp (16/32 amp) electrical service powers three independent 160 GPM (606 LPM), two-speed pumps to deliver a full spectrum of water flow options. The pumps can generate miles per hour flows that exceed competitive swimmer gold medal performances. They will give you the most rigorous workouts at any pace. By adjusting the flow from each pair of jets, you have the ability to create differing amounts of lift for differing zones of the body. A wider balance to the flow will help you hold position in the stream; and varying degrees of force provide different resistance at different depths. Additional air injection ramps up the force creating the most rigorous flow during your exercise. This flexible flow management lets you create a customized experience perfect for your particular body type and workout regimen. 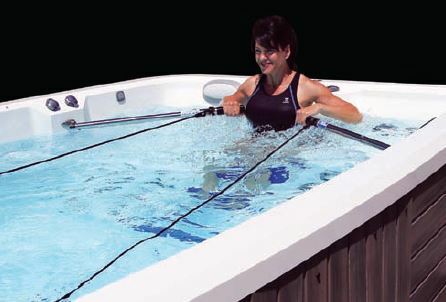 The innovative bowed sidelines to the ATV™ are more stylized than a typical swim spa box of water. They allow for a more spacious swim and workout space than comparable rectangular swim spas. Whether your body position is horizontal while swimming, vertical during aerobic exercise, or seated in resistance/strength workouts, the vessel area accommodates greater space for mobility and workout freedom without kicking or banging into walls. The true four foot (122 cm) water depth allows for a more extensive full torso range of exercises when immersed in the water. The open, level floor area is lightly textured for more stable footing during aerobic workouts.